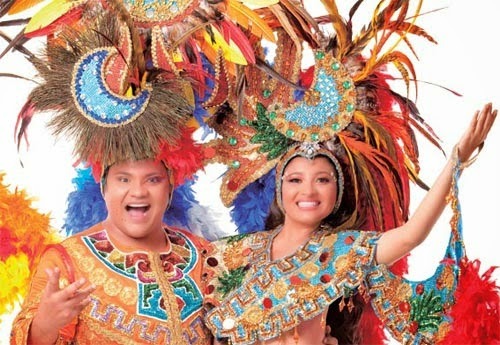 On the occasion of the carnival celebrations, it was announced in the city of Mérida, Yucatán that such meetings will again Xmatkuil the Commissioner. various activities and divided into sections according to age range. Under the name of "Crossing Caribbean" festivities in honor of Momo, bring many changes, with the sole intention of providing local and foreign best events. Thus, the itinerary will include the arteries linking the station to the fairground and will end with the coming of the site troupes and allegorical cars. It does not have details on the sale of boxes will be placed or how exactly, but what I do know is what will be inside. The children's parade will stay in the historic center of Merida. Taking advantage of the extension of the place, besides pallets of radio and television stations, placed other attractions such as "display extreme sports", "Gotcha", "Fun Beach", "Rides", "Stage Caribbean exhibition", " Exhibition of tuned cars "," motorcycle exhibition, "" Stage Rockcultural "among others. The entrance to "Square Carnival" will not cost like transportation that goes from downtown to the new location, hours will be Sunday and Tuesday from 9:30 am, Friday, Saturday and Monday starting at 3:30 pm. The place will be open Tuesday and Sunday from 10 am to 10 pm and Friday, Saturday and Monday from 4 pm to 1 am. The concept remains the same for each day, with venison Friday, Saturday fantasy, bachata Sunday, Monday and Tuesday regional battle of flowers; the morning tours begin at 1 pm, while evening at 8 pm. The Carnival festivities begin on February 11 with the burning of bad humor and finalized on 18 fenrero with the burial of Juan Carnaval. These two will continue to be conducted in the basement of City Hall in the Main Square of Merida.